If asked about comfort, what is the first thing that comes to mind? 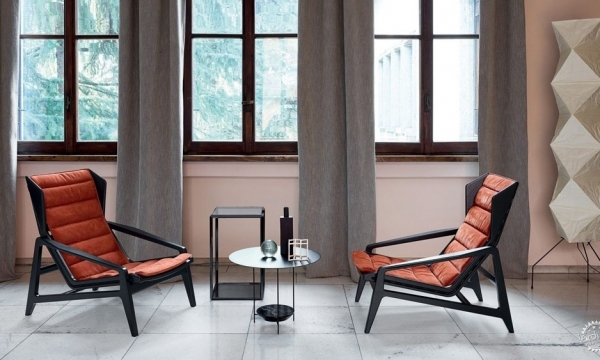 Luxurious finishes, plush chairs and sleek interiors? Few would think of their office, and the likely culprit is a fundamental ignorance of an alternative definition of comfort. When defined as a state of physical well-being derived from the provisions that are necessary for occupants to perform space-specific tasks, it’s apparent that architects play a key role--and that comfort is not just about spaces that are comfortable for leisure activities. Architects and designers are responsible for the visual, thermal and acoustic qualities of spaces, not to mention the indoor air quality of our offices and homes. This is fundamental considering that the typical 21st century urbanite spends an average of 90% of time indoors. We constantly experience physical, psychological and physiological consequences of the balance (or imbalance) of indoor environmental design . 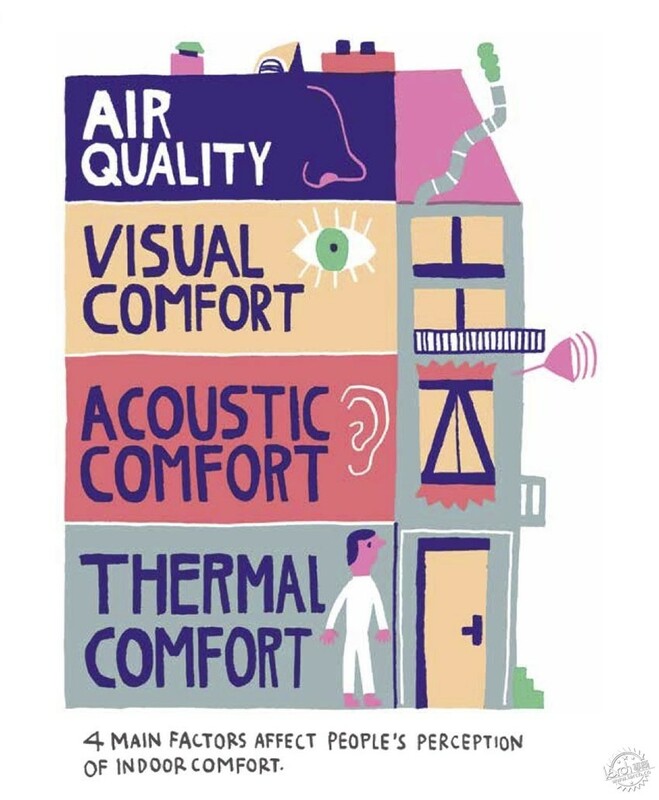 With this in mind, thermal comfort seems obvious (and it is) but unfortunately comfort as a holistic goal of architecture has not been taken seriously enough. Beyond measuring the acoustic and visual aspects of a built space, architects must have a solid understanding of the underlying concepts that drive the best practices. A solid grasp on how material selections will affect qualitative assessments of conferences rooms, homes, theaters, etc. can improve basic tectonic decision making that can, in turn, create more comfortable spaces. Acoustic Comfort is characterized by an appropriate Sound level. This means the absence of unwanted sounds and the quality of sounds we do want to hear. 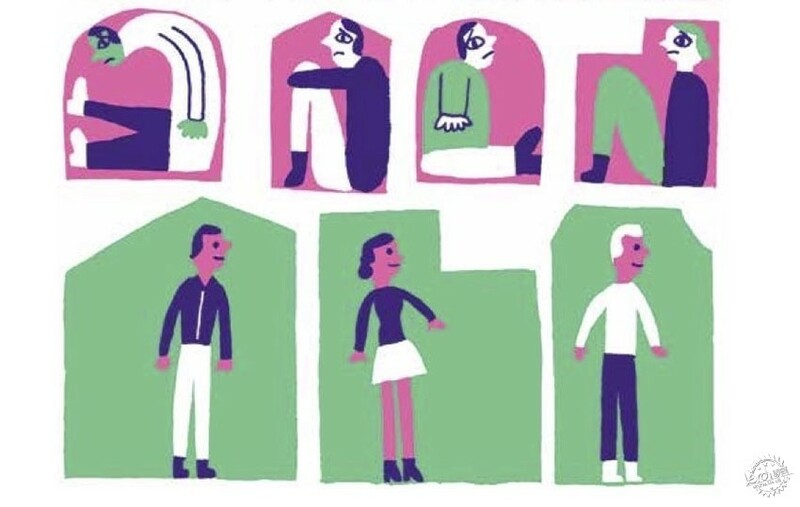 Depending on the type of building (residential, office, school, healthcare or hotel) and activity, one should employ appropriate comfort descriptors. Crucial for an optimal sense of wellbeing, light not brings architecture to life, but also brings life to architecture. Different tasks require specific light quantity levels; optimum spatial distribution contributes to the experience of natural and artificial light. A visual connection to the outside world through exterior views works closely with our biological clock and, together with indoor quality, provides an overall appreciation of aesthetics. Thermal Comfort is determined by air temperature, humidity and the absence of draughts. The ideal thermal levels varies depending on geography and culture, but in general, interior temperatures 21-24oC (69.8oF to 75oF) are the most comfortable. Air Quality is determined by fresh air supply, pollutants and odors. It is commonly evaluated by measuring concentration of CO2 and VOC (Volatile organic compounds), as well as number of microparticles and presence of biological toxins. 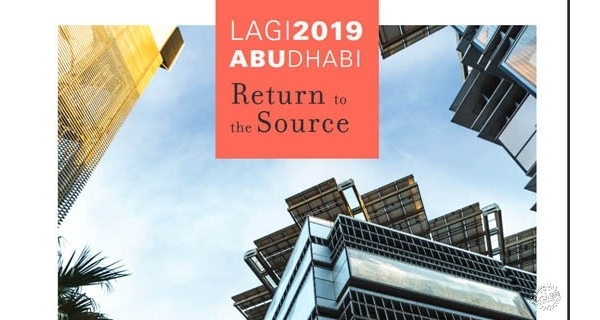 With continued urbanization, and considering that 1 million people move to cities every week around the world, we should be mindful of how to build sustainably (reducing heavy dependence on natural resources) while considering the health and well-being of occupants. 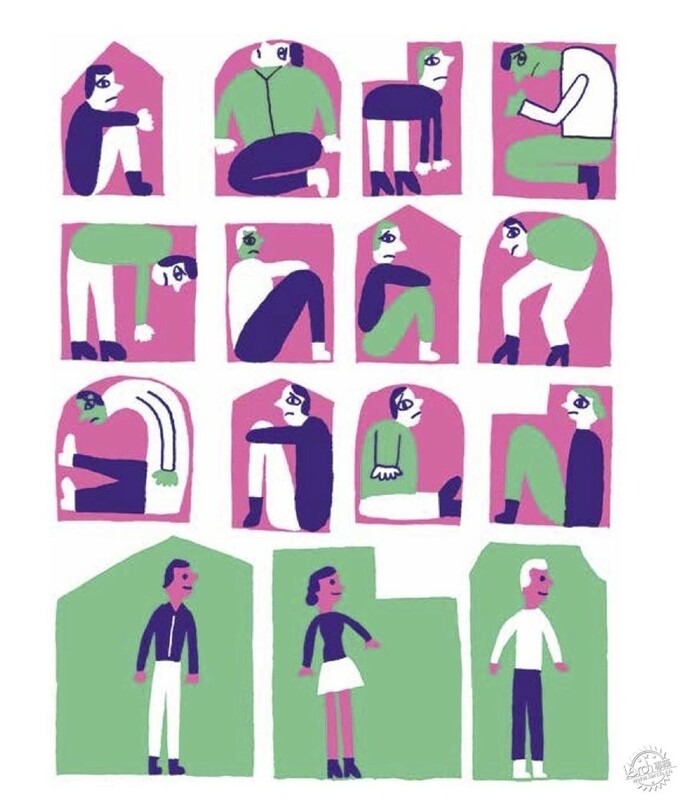 And a good state of health isn’t just a personal concern; there is a large a cost to society associated with unhealthy individuals and altered productivity. According to a report by ASHRAE (American Society of Heating, Refrigerating and Air-Conditioning Engineers), the reduction of respiratory illnesses, allergies and the common cold can save tens of billions of dollars--and it starts with design. As architects we should try to lessen the knowledge gap between ourselves and the expert consultants and learn simple concepts to address the problems that need to be faced. 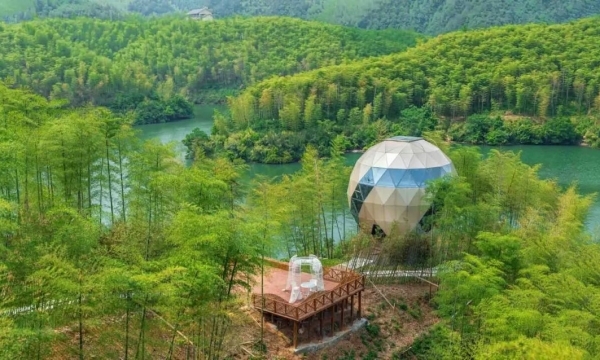 This conscientious approach not only helps the immediate users of a building, but also plays an important role in sustainability and circularity. Architects, manufacturers and contractors should become aware of waste handling especially as flexible and refurbishment projects become more ubiquitous. Some strategies to keep in mind when designing new projects or interventions range from easy dismantling of modular and prefab construction systems to 3D printing and, most importantly, growing use of BIM potential to reduce construction time, waste generation and logistic costs. Resource efficiency and comfort can be handled by architects in very subtle but important ways, and this is a mere introduction to a much larger, rich discussion. Over the coming year we will publish articles that recognize best practices for making well-designed, comfortable and resource-conscious buildings. 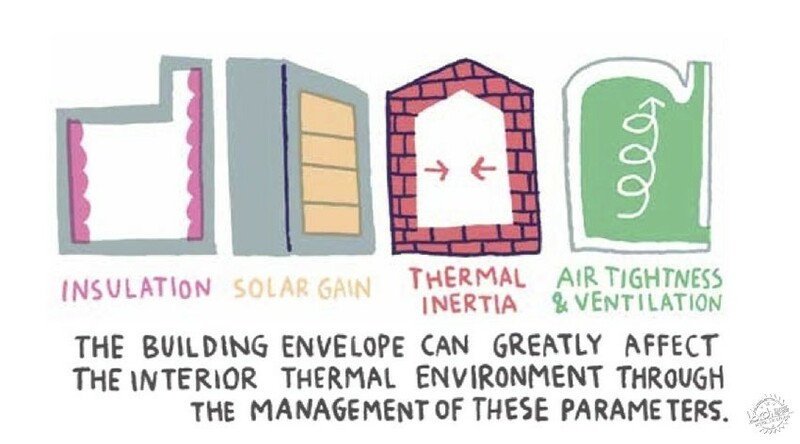 These principles can and should be applied in any kind of climate, in a variety of building types. To learn more about the aspects of building science that make a big difference, you can consult our growing selection of content dedicated to Comfort and Sustainability in Architecture. There is also a broad selection of educational content on the Saint Gobain’s Multi-Comfort page. With this knowledge, architects can and should become leaders in sustainable and energy-efficient designs. Another bonus: by reducing waste in the construction processes associated with basic principles of comfort, you’ll also contribute to a more intelligently urbanized, less resource dependent world.